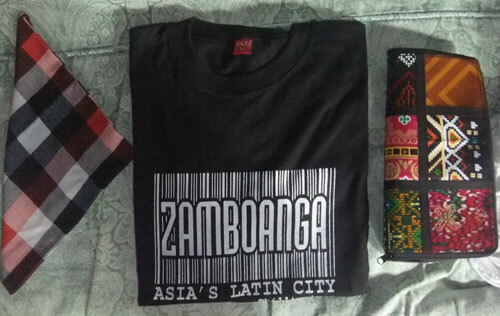 Hubby’s friend gave him this intricately designed items from Zamboanga City. The one that looks like a wallet is actually a tote bag. The black shirt’s fabric is so soft and smells good. This entry was posted in Bags and Accessories and tagged Zamboanga products on August 8, 2012 by Mommy Yam.